I confess that I used to love the “TGIFridays” dip that I used to get in the frozen section of the supermarket. So I reworked this as a fresh version..homemade is always much nicer. Just yummy with flax seed parmesan crisps, cheese crisps or even crudettes. You could always use this as a sauce combined with Gluten Free Pasta too. Or anything that will go into a dip and is not processed ..spoon..finger..your choice…I won’t judge…. I use fresh spinach here, but you could also use frozen spinach. 2 cloves garlic, finely chopped. Heat the olive oil in a frying pan and cook the garlic for 2 minutes. Add the spinach and cook until wilted. 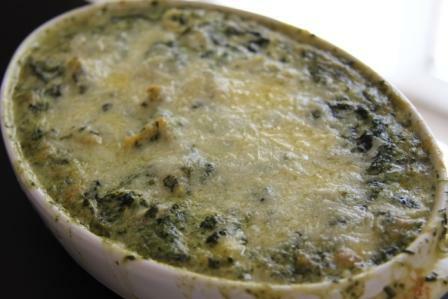 Mix the garlic, spinach, artichokes, alfredo sauce, mozzarella cheese, parmesan cheese and cream cheese in a bowl. Combine well. Spread the sauce over a 8 x 8 inch baking dish. Cover and bake for 30 minutes. 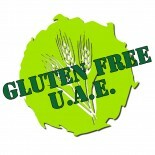 This entry was posted on 06/03/2012 by glutenfreeuae in Others, Recipes and tagged alfredo sauce, dip, gluten free, glutenfree.